A bill in the Michigan state House would prohibit bans on pharmacists' answering questions about drug prices. 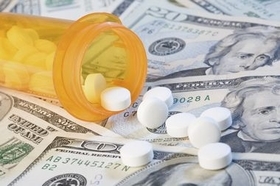 The bill, introduced Tuesday by Rep. Mary Whiteford, R-Casco Township, is intended to give price relief to people purchasing prescription medications and short-circuit a practice where pharmacists aren't allowed to tell patients when the cash price for drugs is lower than the price with insurance. Whiteford's "drug cost transparency" bill is intended to remove pharmacy benefit management company's so-called "gag clauses" on pharmacists. Similar bills have been approved in at least 13 other states, with another 20 states like Michigan considering legislation, according to the National Conference of State Legislatures. State employees, retirees and other insured patients stand to benefit from the proposed House Bill 5858, said Larry Wagenknecht, CEO of the Michigan Pharmacists Association, which lobbied for the legislation. Wagenknecht said the gag clauses are frustrating for pharmacists because customers often ask if the drug they are purchasing is the lowest-priced. He said now they are sometimes prohibited from telling customers that out-of-pocket prices might be less than their insurance copay. It depends if the PBM includes the provision in the contract with the pharmacy. Whiteford, a nurse, said the gag clauses were brought to her attention by a pharmacist who she met in Allegan County while she was running for office in 2016. "He told me he can't disclose the cash price for prescriptions," said Whiteford, who proposed more comprehensive bills on pharmacy benefit reform in 2017. "We are taking a small step here to ensure" the issue is clearly focused for legislators. Whiteford said she hopes Hank Vaupel, R-Handy Township, chair of the health policy committee, takes up the bill and holds hearings. "It is a common sense approach. I can't see why it wouldn't have broad support," she said. One of the PBMs in Michigan that uses the gag clause in contracts is OptumRx, which has a contract with the state of Michigan, Wagenknecht said. "We are trying to make sure pharmacists can share other pricing options when (customers) come to the pharmacy," Wagenknecht said. "It is now an issue for OptumRX as (the state's) pharmacy benefit manager. We see in the future continuing to be a bigger and bigger issue as copays continue to rise year to year." Pharmacy benefit managers are essentially the "middle-men" in the pharmacy industry. PBMs negotiate drug prices and co-pays with health insurance companies and tell the pharmacies how much they will pay them for medications dispensed to patients. Many of the prices they negotiate on certain medications are significantly higher than the pharmacy's cash price for the medicine being prescribed to a patient with the PBM pocketing the difference, Wagenknecht said. Each year, PBMs "claw back" the extra money and take in hundreds of millions of dollars in profits, he said. If drug customers at pharmacies were told the price differences, Wagenknecht said many patients could save money by paying the pharmacy's cash price instead of using their insurance cards and paying their copay, which could be much higher. Wagenknecht said he hopes the Michigan Legislature takes action on Whiteford's bill and then begins to look at a whole range of issues related to PBMs and pharmacy prices in 2019. Last year, Senate Bill 287 was introduced that would have regulated and increased transparency of PBMs and address the overall double-digit increase in prescription drug prices. The Senate never scheduled a hearing and the bill died. "Bill would lift bans on pharmacists discussing drug prices" originally appeared in Crain's Detroit Business.